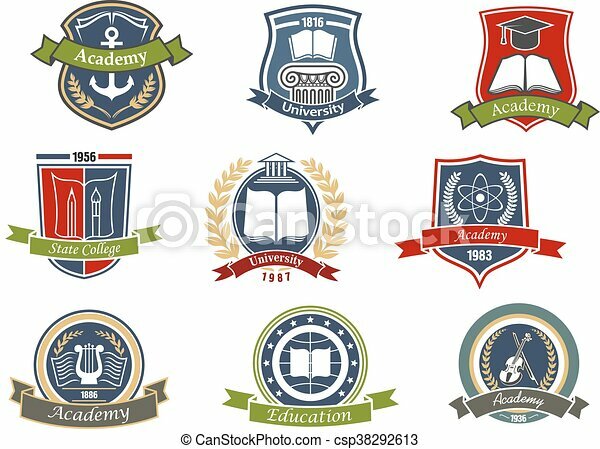 Education emblem design with book, globe, red ribbon and stars. 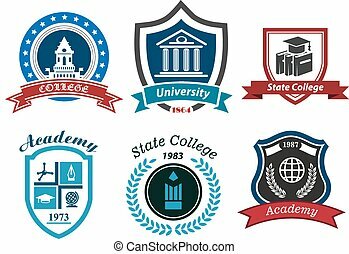 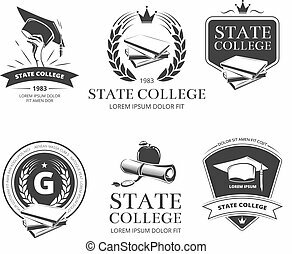 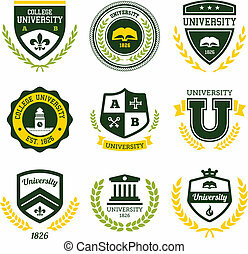 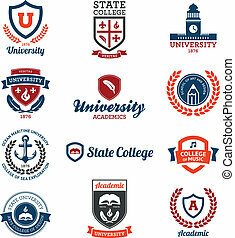 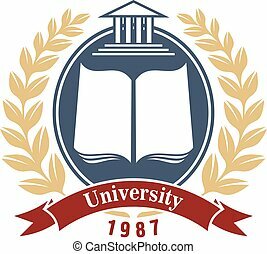 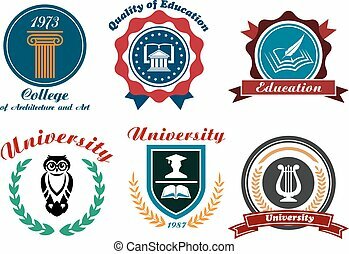 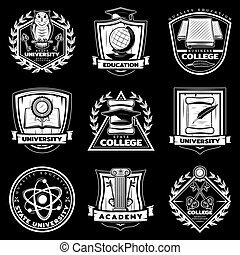 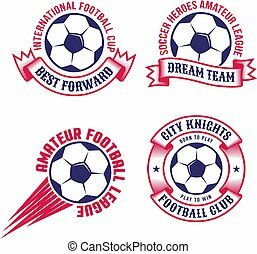 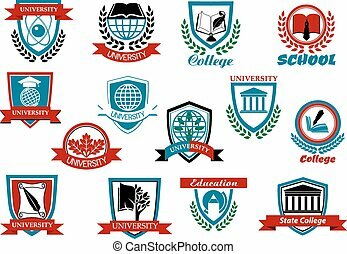 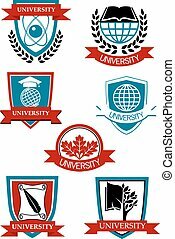 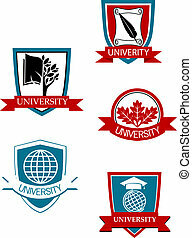 Vector circle insignia label for university, college, high school. 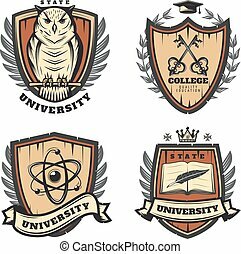 Education and study graphic shield.